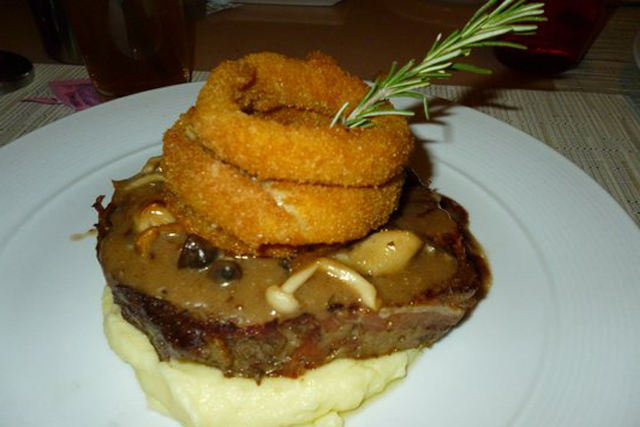 Who else but Wolfgang Puck would be able to bring such a fantastic restaurant to the Venetian? 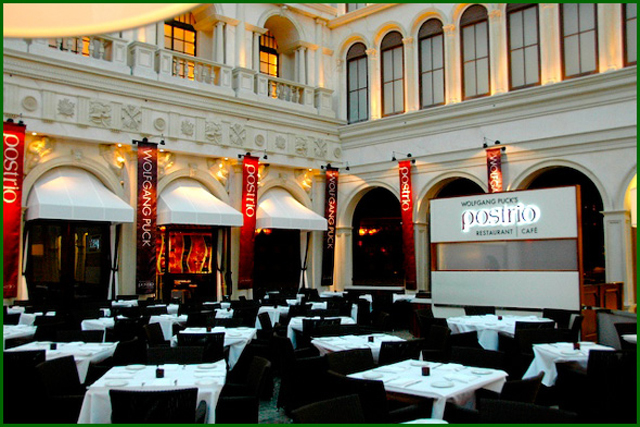 Located in the Grand Canal Shoppes, Postrio focuses on American cuisine but adds a Mediterranean twist. The six awards the restaurant has received over the years are a testament to the quality of its meals. The awards include Best Entree of the Year, Restaurant of the Year, Best Restaurant in Las Vegas, Best Dessert (twice), and a mention as one of the 10 Best Restaurants in the World. Postrio has both a cafe and a formal dining room, but while the cafe is open for both lunch and dinner the dining room is dinner only. The menu is diverse, and even to pick highlights is a difficult task. In keeping with the Venetian's theme (and Wolfgang Puck's signature food) there are wood oven-baked pizzas as well as pastas. One the more American side of the menu is Mesquite-Grilled Kansas City Steak with potatoes and a Black Angus burger. The appetizers are appealing enough to satisfy light eaters as entire meals. Among other choices there is a sausage plate and an Italian meats plate, as well as a wild mushroom soup. Be sure to try a dessert or two as well. There are many scrumptious choices. After all, the service at Postrio is excellent, so you won't be in a hurry to leave.